Lyonchhen Dasho Tshering Tobgay and Lyonpo Yeshey Dorji launched the secretariat office for the Bhutan for Life project at the WWF Bhutan office today. Lyonchhen awarded certificates of recognition to representatives from the MoAF, MoF, MFA , GNHC, Bhutan Trust Fund, PM’s office, and WWF Bhutan for their contributions to the BFL project. 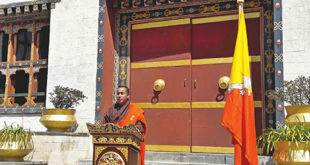 Lyonpo Yeshey said, “The successful launch of Bhutan for Life can be attributed to the outstanding dedication of the project team members, the remarkable leadership of Prime Minister Tshering Tobgay, and the inspiration of our monarchs, which was the guiding force that motivated our collective commitment to preserve Bhutan’s conservation legacy for perpetuity”. 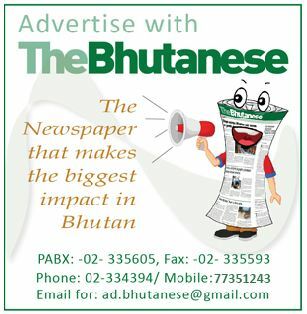 Bhutan for life was launched on November 11, 2017. 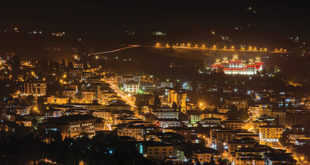 It is a USD $43 million fund—the first of its kind in Asia—to permanently protect Bhutan’s network of protected areas, which constitute 51 percent of the country, the highest in Asia. This funding will be combined with USD $75 million from the Royal Government of Bhutan, which will be contributed over a 14-year period, to manage Bhutan’s protected areas.